Between Christmas knitting and test knits there have been very few things I can post publicly, but a few weeks back, a colleague had a baby and we threw a shower for her at the office. I could contribute cash to the generic gift…which turned out to be cash…or I could make something. I really didn’t want to knit anything, although I really should learn a nice baby sweater pattern, so I made a blanket that my Mom taught me to make several years ago. 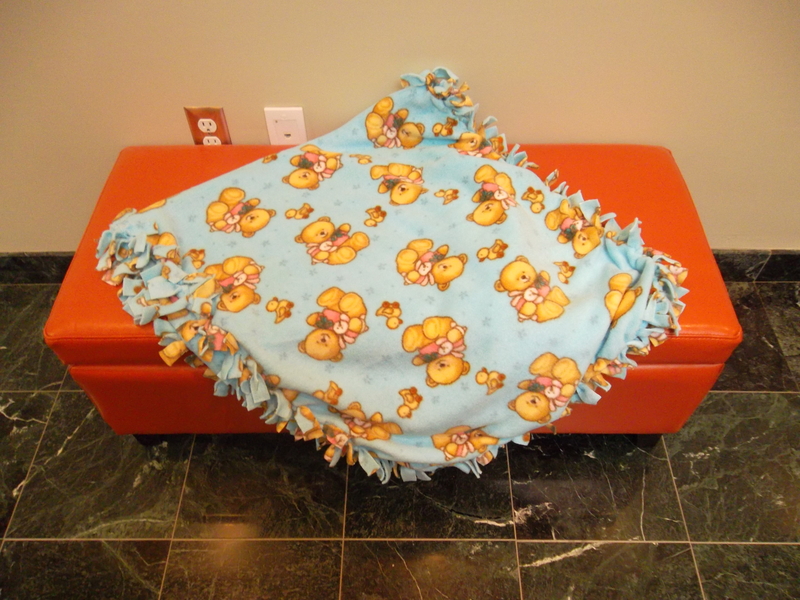 It really just takes some polar fleece and some scissors, a ruler and a couple of hours to make a cute baby blanket. I had the fabric – purchased to make a blanket for a baby who now will be two come Christmas – so I just had to set aside an evening to make it. 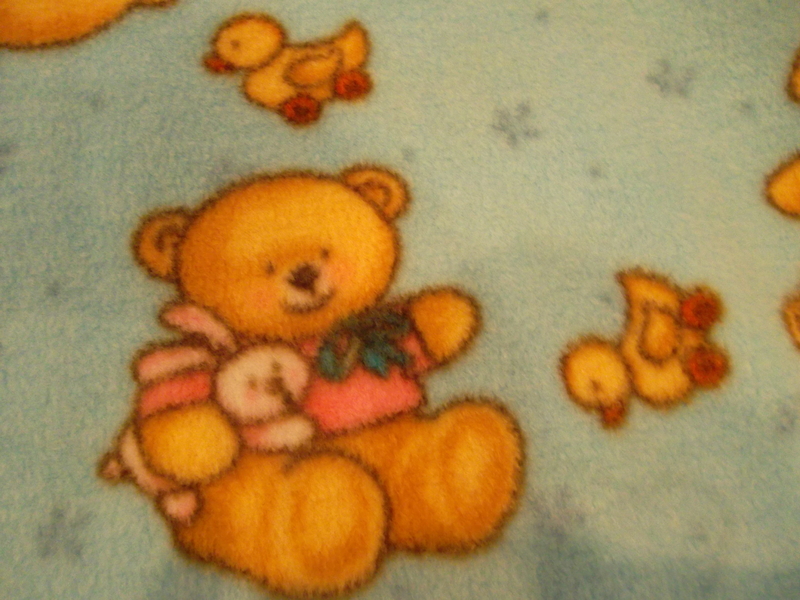 Duckies and bunnies and bears, oh my! I don’t make a lot of these, but I really do think they are cute. And huzzah! Soon, I will have an actual knitted FO I can post. Just needs blocking and a pretty picture.